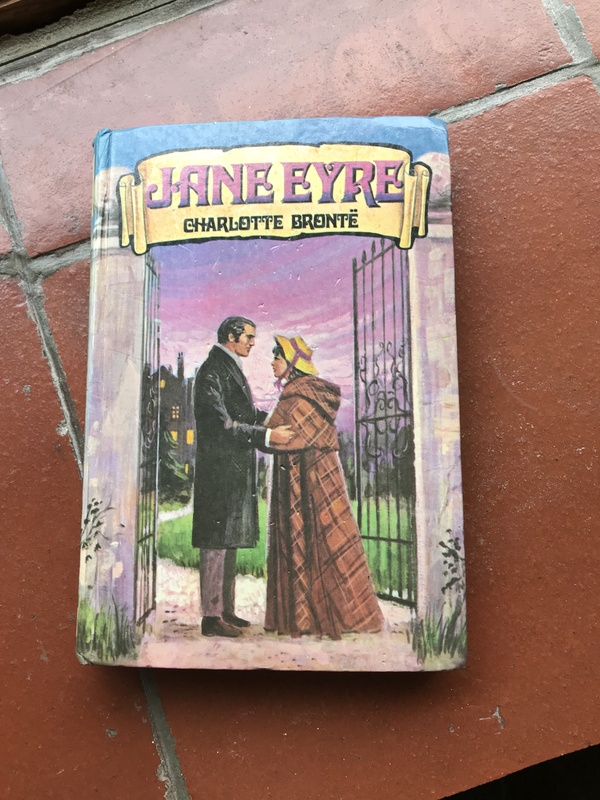 When I was 9 years old, my favourite book was Jane Eyre, by Charlotte Bronte. I had a hard-backed abridged edition, bought from a jumble sale at the end, when they were reducing all the books to a few pence each. That is how we acquired all our books in those days. I still have it. I used to read it late at night by torch light, while hidden under the covers, and I loved it. I don’t know, now I’m all grown up, how much I understood at the time, but something about the language, the passionate exchanges and the romance of a plain girl being loved by a strong rich man, intrigued me. It remained my favourite book, until I was 17, and studied it for A level. Being forced to learn passages, to discuss the use of gothic imagery, and all the other awful things that English teachers encourage their pupils to do, completely killed the romance of the book, and I put it away, never to be read again. Until now. 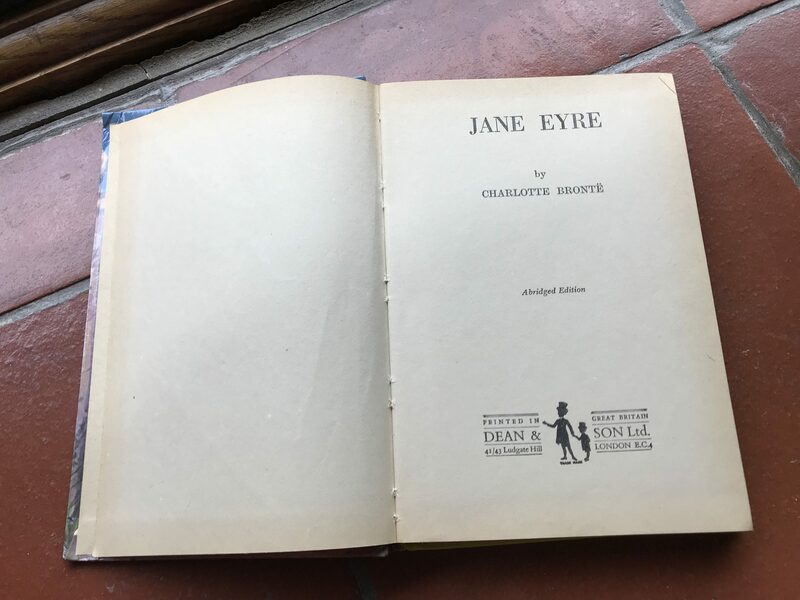 Because recently, I was thinking about how long it has been since I was completely engrossed in a book, and I remembered Jane Eyre, and my love for it. I decided to give it another read. I bought another hardback copy, because I fancied reading it the old-fashioned way, rather than on my Kindle, and I began to read. 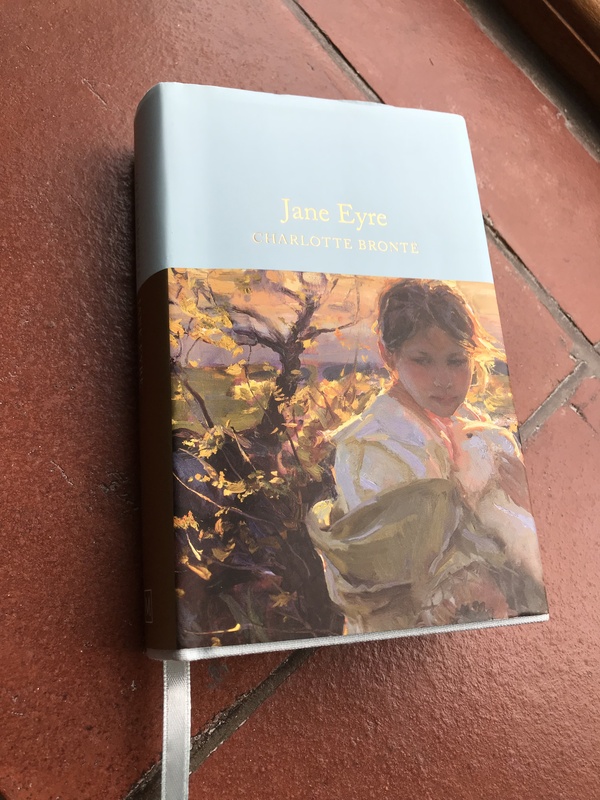 Yet again, I was captivated by the story, mesmerised by the characters; and although I didn’t need to read it under the covers, I did find I was putting off things I ought to be doing, so I could read another chapter. It is a completely brilliant story, full of deep emotion, and passion, and despair. Really, if you haven’t read it recently, buy a copy and set aside a long weekend to forget about reality and fall in love with the dark figure of Mr. Rochester. However, as I read, I was reading with ‘writers eyes’. 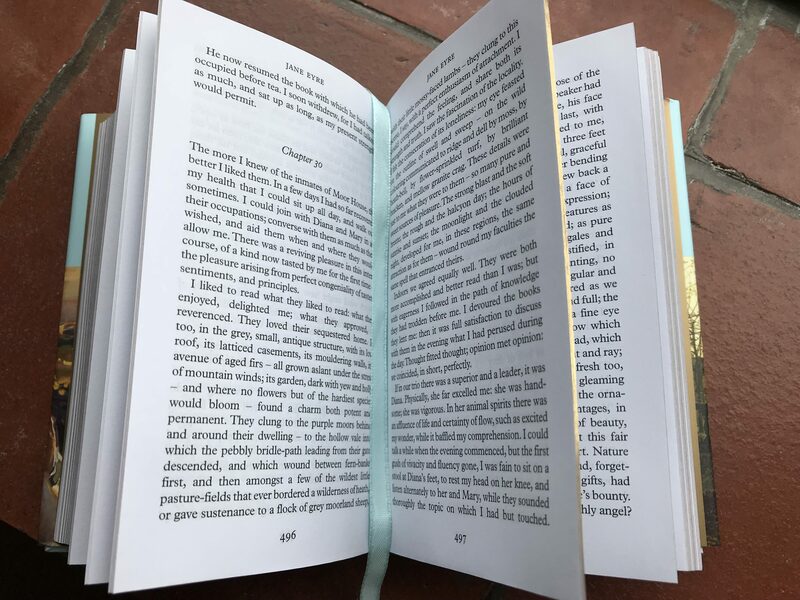 This is bit of a hazard when you become an author, as every so often, something about the style of writing, or the placing of punctuation, catches your eye and whips you out of the story, and instead you analyse how the author has created a particular scene or atmosphere. (And oh, do I wish, I could create an atmosphere like Charlotte Bronte did.) Much of the punctuation, the placing of exclamation marks mid-sentence, for example, is very different to the standardised punctuation we use today. There are also lots of dashes—which leads us to the title of this article. In an attempt to find out when punctuation was standardised, and whether Bronte’s punctuating would be acceptable today, I stumbled on some articles about dashes and their uses. Now, maybe everyone else in the world knows that there are three different types of dash, all different lengths, and all used differently. But I didn’t. Even though my manuscripts are returned by my editor with every dash changed, it has never occurred to me to wonder why. Now I know. Finding out how to type the dashes took a little longer, as I work on an old MacBook Pro (good old Apple!) and it’s not always easy to discover some hidden punctuation. Just in case you too have missed this interesting piece of English grammar, I will explain. The first dash, used to hyphenate words, is found at the top of the keyboard, with the numbers. It is used, without spaces, to link words, like well-adjusted. The next dash, slightly longer, is called an en dash (because it’s the length of a capital N). It is used to denote ‘until’ or ‘to’ such as in a list of dates: 1st July–3rd July, or a list of numbers: 22–32. On a MacBook, you press ‘alt’ and the hyphen key. The last dash is one I use all the time when writing, but have always wrongly used a hyphen with a space either side. It is called an em dash (because it’s the width of a capital M). It denotes a break in thought, or instead of brackets. I used them—to make an interesting example—in the title. They don’t need spaces between the dash and the word, and on a MacBook, you press the capitals arrow, the alt key, and the hyphen key, all at the same time. How interesting. Thank you. I didn’t know either!